Dr. Kenneth N. Haas, D.C., C.C.S.P. Dr. Haas began studying this approach to health more than 30 years ago and has been in practice for twenty eight years. Since then he has helped over 10,000 patients return to their highest health potential. He earned his Bachelor of Science degree in education from Southern Connecticut University in 1977 where he was a three time All-American in gymnastics as well as an international competitor. His earned his Doctor of Chiropractic from Life University in 1986 and his certification as a chiropractic sports physician from Logan College in 1991. 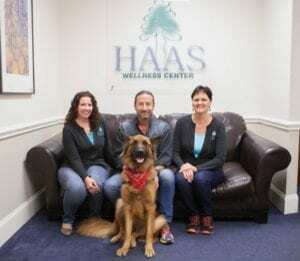 Dr. Haas practiced in Massachusetts and Virginia before moving to Chapel Hill in 2001 where he developed a practice based on the 6 step principals. He moved his family to Charlotte in 2004. He owns and is a lead practitioner at Haas Wellness Center. President, Seminole Total Health 1996- 2001. Applied Kinesiology International College of Applied Kinesiology with Dr John Bandy and Dr Dan Duffy 311 Hrs.